NEW !! Perfecting the art of performance & speed is what we do best. 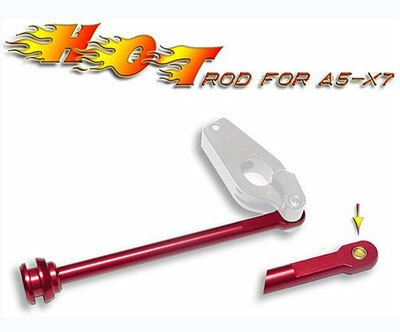 Our new billet HOT rod replaces your stock cylinder piston. Friction robs you of performance. We reduced friction by installing a well needed brass bearing which improves performance. Will not flex or bend like your stock one. 100% compatible on all Cyclone equipped Tippmann’s. SKU: SKU19244 Categories: A-5 Upgrades, Tippmann Loader Parts Brands: Tippmann. stock one. 100% compatible on all Cyclone equipped Tippmann’s.